The Baird’s Tapir is the largest mammal in Central America! It has an extended upper lip which, when relaxed (as in this photo) resembles a short elephant’s trunk! 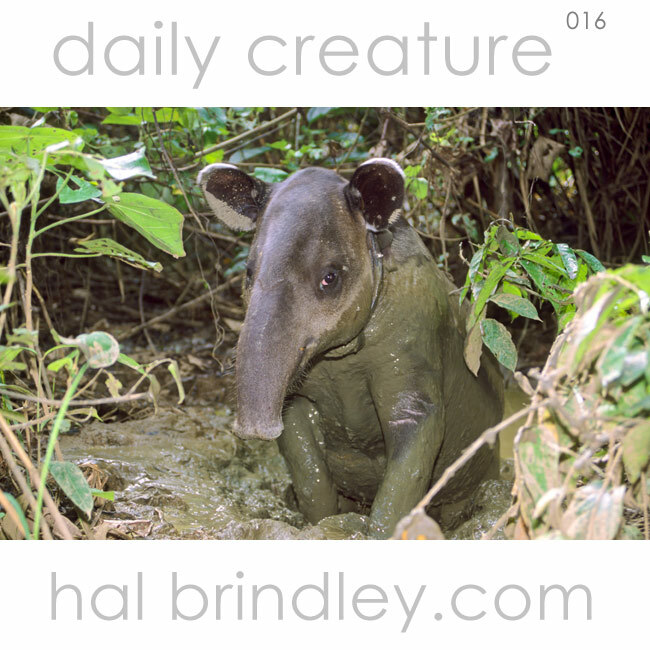 Photo: Baird’s Tapir wallowing in a mud pit in Corcovado National Park, Costa Rica. This particular individual was part of a radio tracking study and you can see the radio color around his neck. Photo by Hal Brindley.